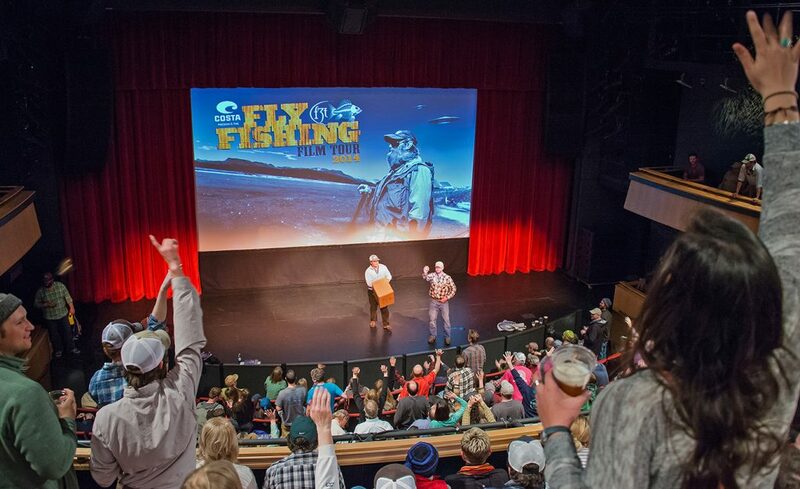 The Fly Fishing Film Tour 2019 at the Jackson Hole Center for the Arts on March 13th is presented by WorldCast Anglers and Jackson Hole Wildlife Film Festival. Doors open at 6:00 PM at both events for a pre-event social, so if you have time join us before the films start to catch up with your angler buddies. Beer and wine will be available as well as fly fishing raffle prizes. The film starts promptly at 7:00 PM. Center Box Office – CLICK HERE! This year’s lineup of films is without question the best the Tour has ever presented. From Bolivia to the Seychelles, British Columbia and Patagonia, from Saskatchewan to Zambia and Virginia to Montana, the notable characters, unique storylines and unparalleled fishing in these films will lead you on an adventure around the globe! In addition to showcasing world-class fly fishing films….